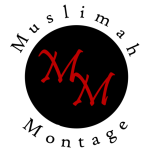 Our second episode, we unpacked the very complex relationship Muslim women have with the mosque (masjid). Earlier this month, on International Women’s Day, there was a #HijabAndMihrab conversation on Twitter. During this Hashtag conversation, many very important issues were brought up. On Saturday, we spoke to Hind Makki, founder and curator of Side Entrance; Marwa Aly, one of the producers of UnMosqued; Sarah Sayeed, board member of Women in Islam, Inc.; and M. Hasna Maznavi, founder and president of The Women’s Mosque of America about some of these issues.